All homeowners look for home improvements that pay off. Everyone does agree that nothing helps sell a home faster than landscape and curb appeal. Although tweaking your interior and upgrading your appliances does help when selling your home, according to REALTORS® it is critical to pay attention to your curb appeal to attract the attention of a new buyer. By investing in landscape lighting for your property, it has been shown to add a 20-30% return when selling your home. Houston Luxury Lighting can help make your home stand out with landscape lighting! All outdoor lighting projects are customized to the individual home owner. Houston Luxury Lighting will take your vision and make it a reality. 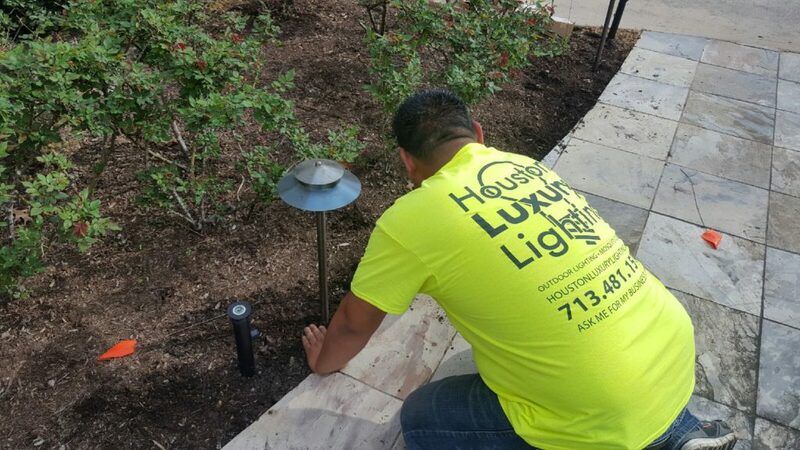 Houston Luxury Lighting was featured in Voyage Houston and is one of the top outdoor lighting companies in the Houston and surrounding areas. Feel free to check out their reviews online. Houston Luxury Lighting always like to hear what our customers say about their workmanship and customer service. Give Aaron Perrin, the owner of Houston Luxury Lighting, a call and schedule your free consultation. Night demonstrations are also available upon request. 713-481-1518.